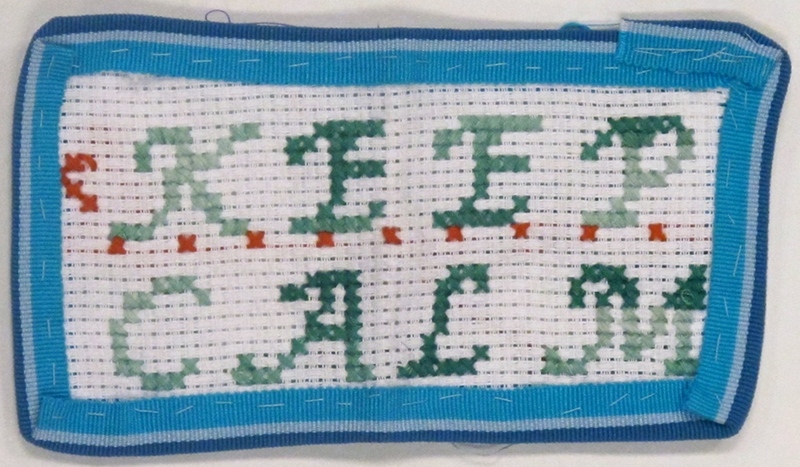 Brooklyn students embroider their ideas: Part 8 | Be Nice. I loved the edging and colors on this piece–they are really well coordinated! And the message is very funny–I wonder what story goes with this phrase? Very interesting Kaya! It’s funny Joshua, my first embroideries looked pretty awful too on the back, and cross stitching to a pattern isn’t easy! Once I had to redo a section 3 times (it took me 10 hours to do a little 1 x 1 inch area! ), but in the end it was worth it. And sometimes our “mistakes” end up really working out in the end. I’m glad you like the result of your project, and I like your story–especially the part where you want to be good and you. It’s easy to feel like we need to change everything about ourselves when we do something silly (happens to me ALL the time), but I like that you see the value in who you are. Nice work!